Di Anna is an Outstanding Sonoma Caregiver! Hired Hands Homecare Sonoma is proud to announce that Di Anna H is our Caregiver of the Month for March 2015! We are honored to have had the joy of working with Di Anna since 2007! Di Anna is organized, thorough in her reporting and never fails to keep her scheduling commitments. 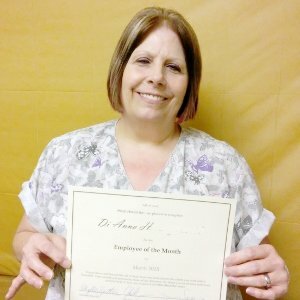 Thank you, Di Anna, for your dedication to excellence! So, Di Anna… we wholeheartedly say THANK YOU for everything you give to the families we work with. We are so lucky to have you on our Team!